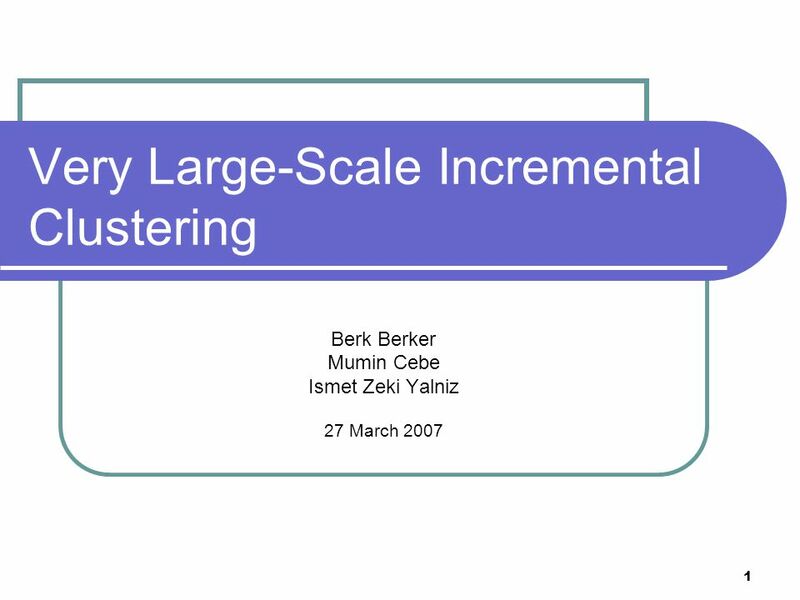 1 Very Large-Scale Incremental Clustering Berk Berker Mumin Cebe Ismet Zeki Yalniz 27 March 2007. 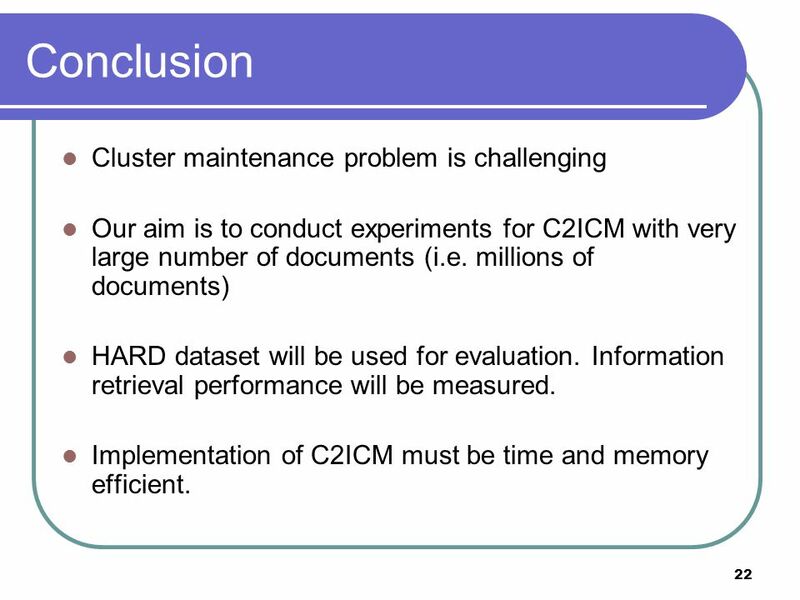 22 22 Conclusion Cluster maintenance problem is challenging Our aim is to conduct experiments for C2ICM with very large number of documents (i.e. 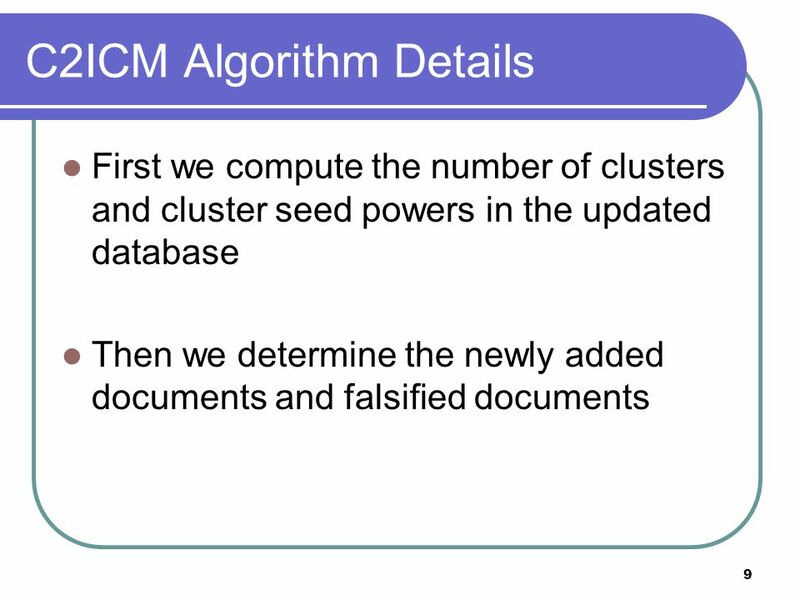 millions of documents) HARD dataset will be used for evaluation. 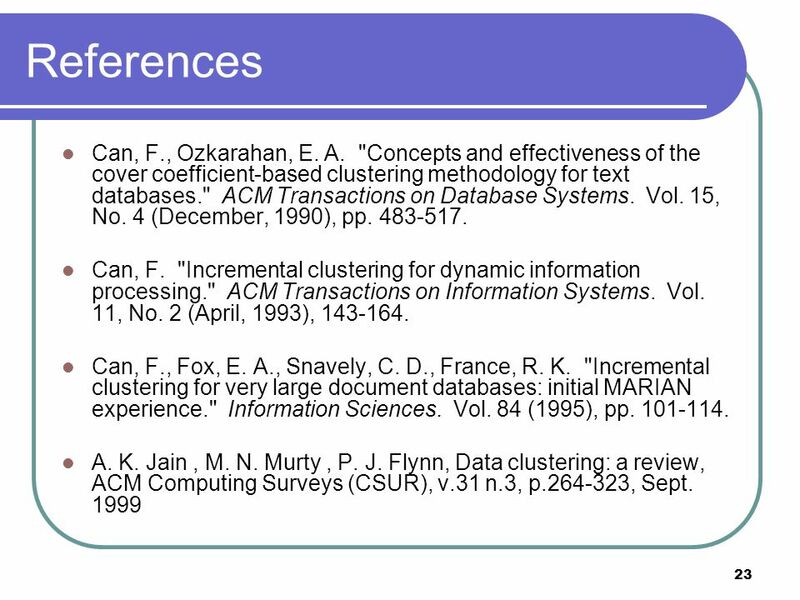 Information retrieval performance will be measured. 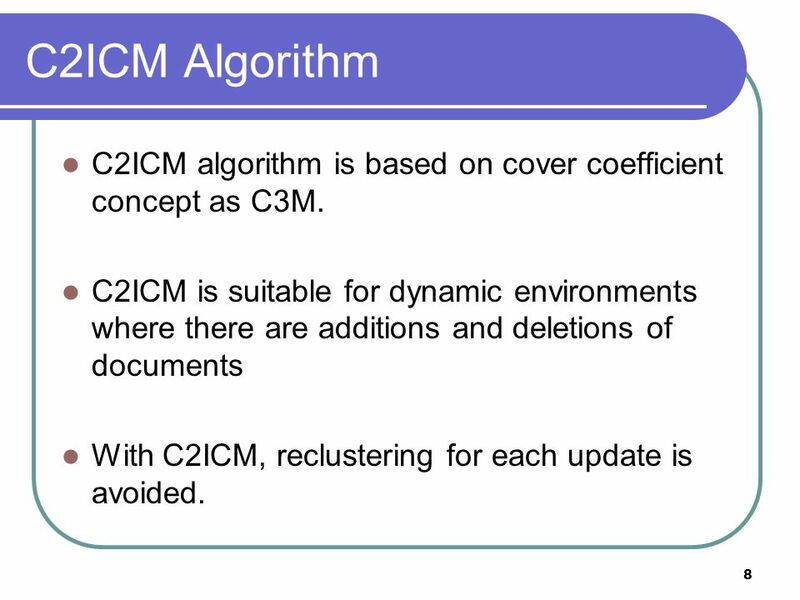 Implementation of C2ICM must be time and memory efficient. 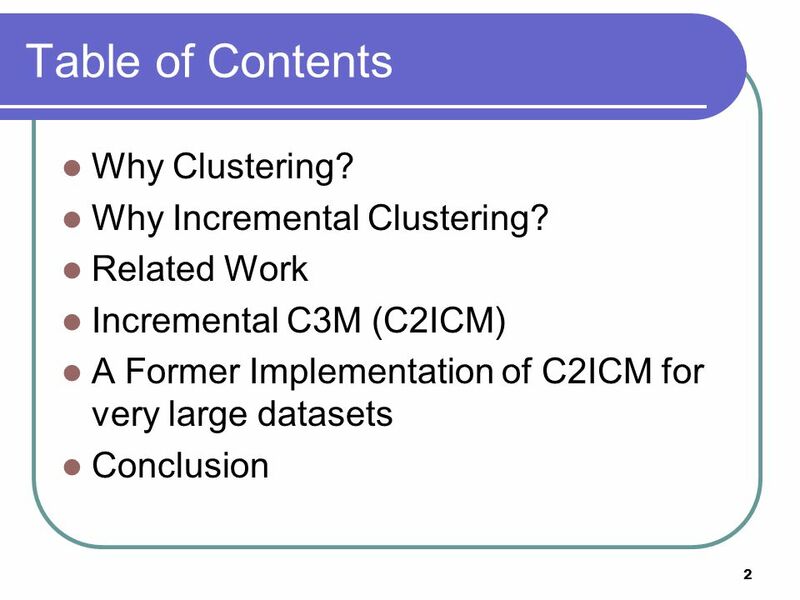 Download ppt "1 Very Large-Scale Incremental Clustering Berk Berker Mumin Cebe Ismet Zeki Yalniz 27 March 2007." 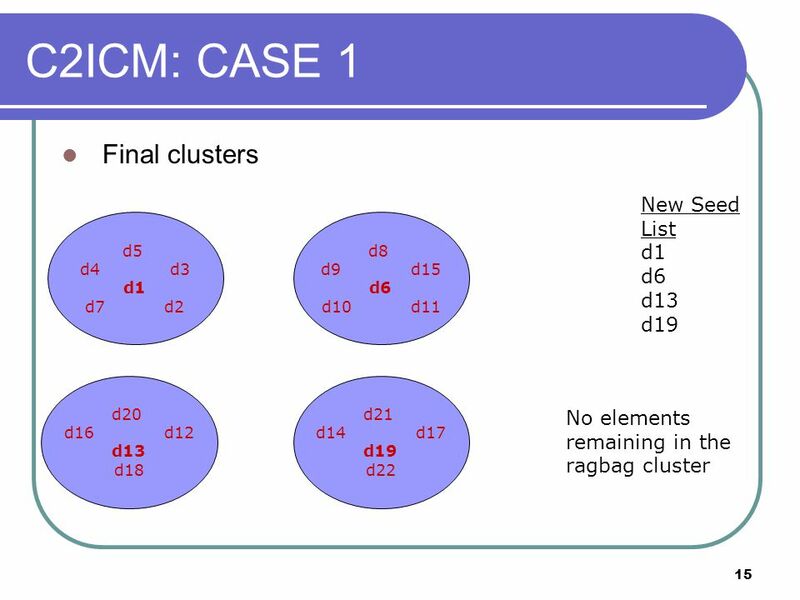 JKlustor clustering chemical libraries presented by … maintained by Miklós Vargyas Last update: 25 March 2010. 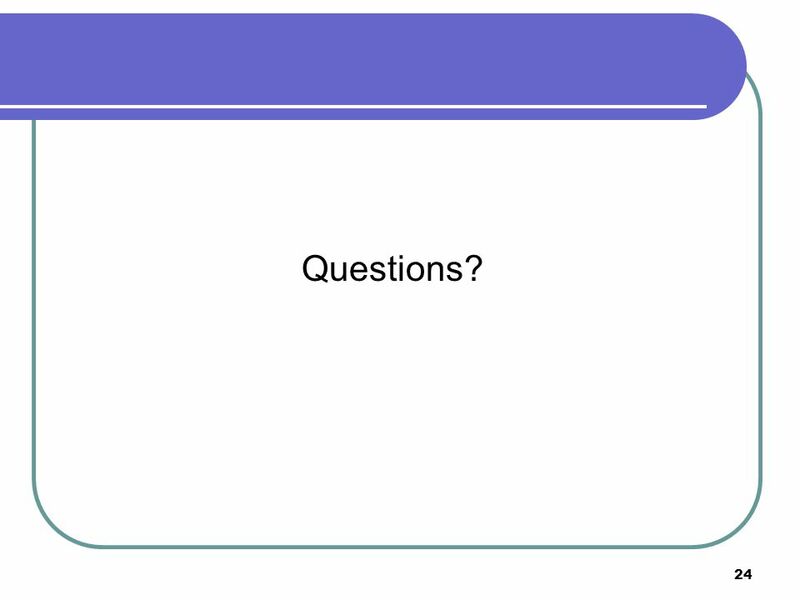 To print your results, click on the printer icon. Choose from the printing options suggested. 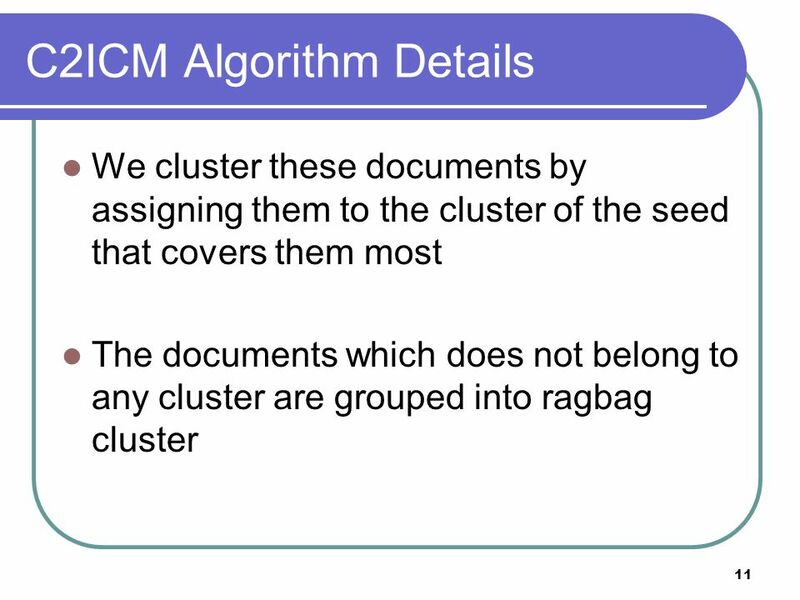 You can choose to remove items from folder after printing. 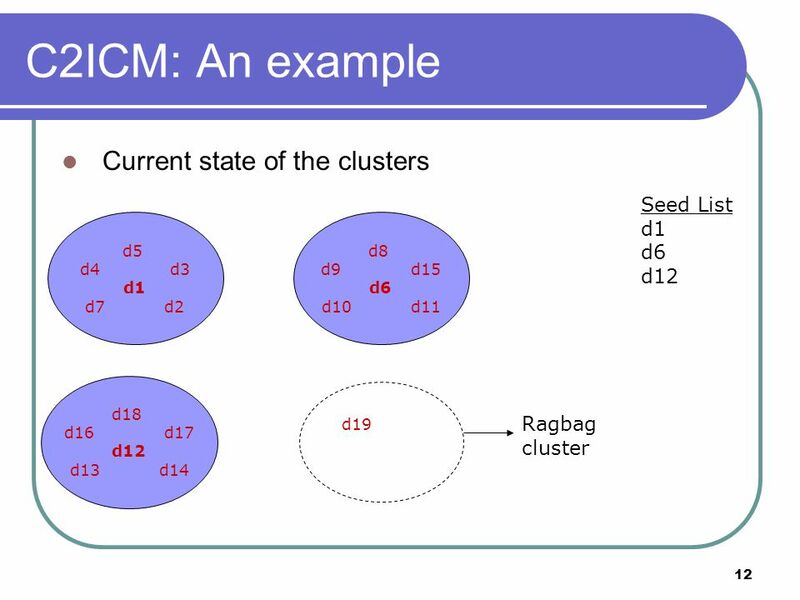 Clustering k-mean clustering Genome 559: Introduction to Statistical and Computational Genomics Elhanan Borenstein. 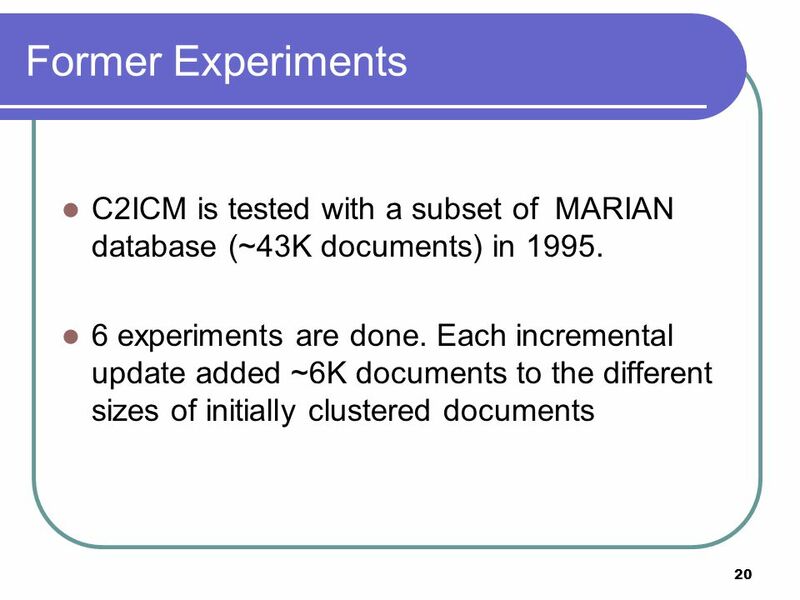 Alex Cheung and Hans-Arno Jacobsen August, 14 th 2009 MIDDLEWARE SYSTEMS RESEARCH GROUP. 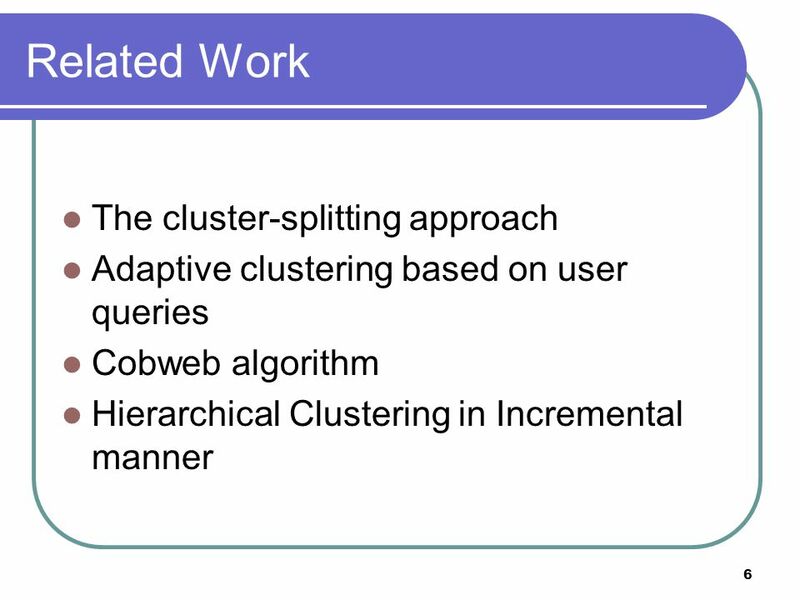 Probabilistic Skyline Operator over Sliding Windows Wenjie Zhang University of New South Wales & NICTA, Australia Joint work: Xuemin Lin, Ying Zhang, Wei. 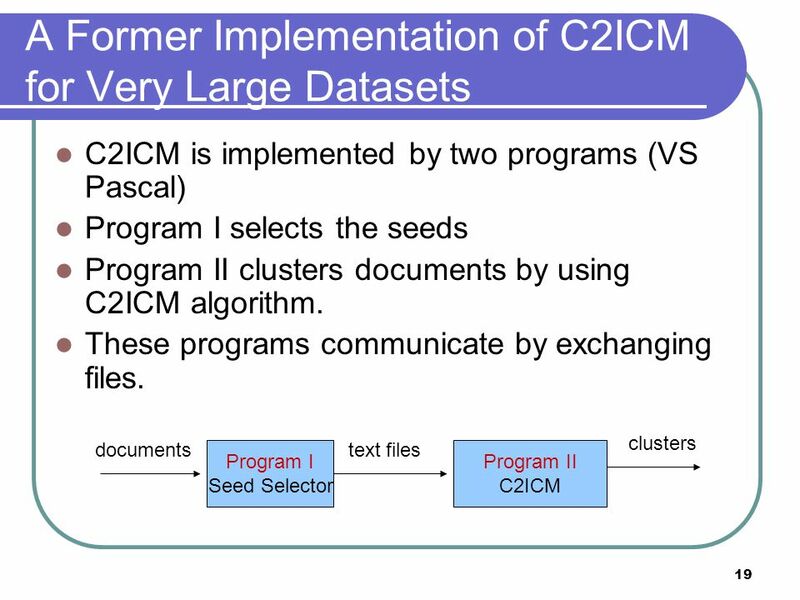 Microarray Data Analysis (Lecture for CS397-CXZ Algorithms in Bioinformatics) March 19, 2004 ChengXiang Zhai Department of Computer Science University. 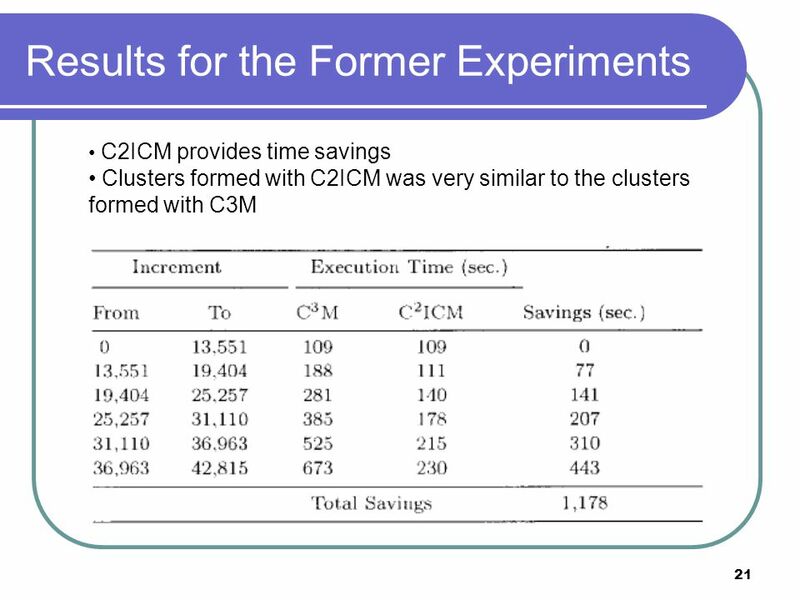 Incremental Clustering Previous clustering algorithms worked in “batch” mode: processed all points at essentially the same time. 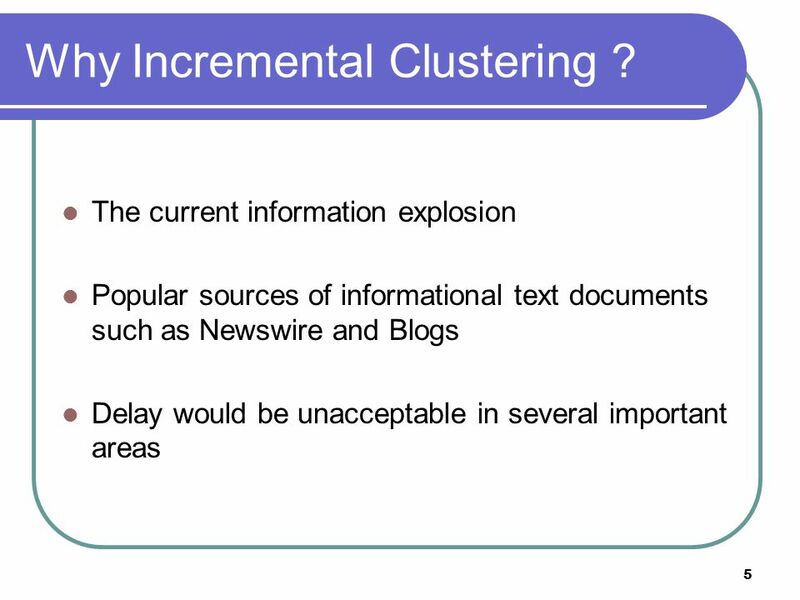 Some IR applications cluster. 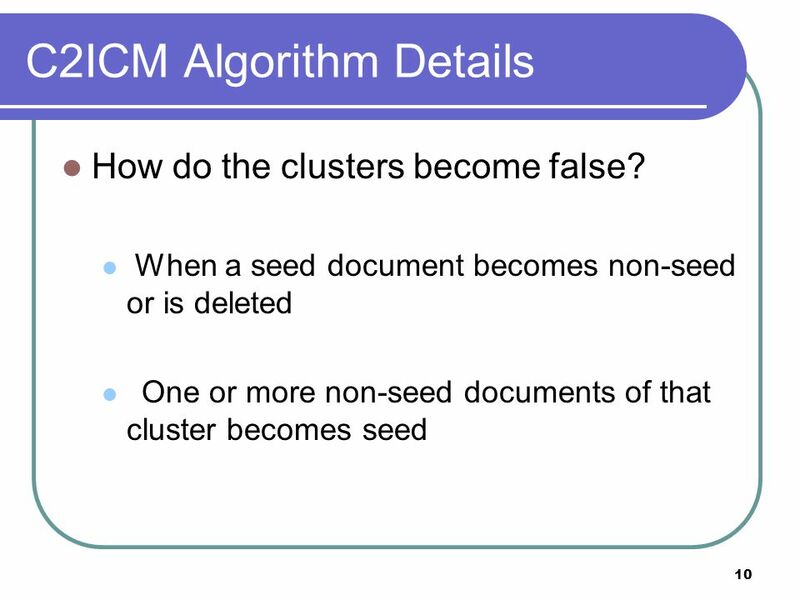 CMU SCS : Multimedia Databases and Data Mining Lecture #16: Text - part III: Vector space model and clustering C. Faloutsos. 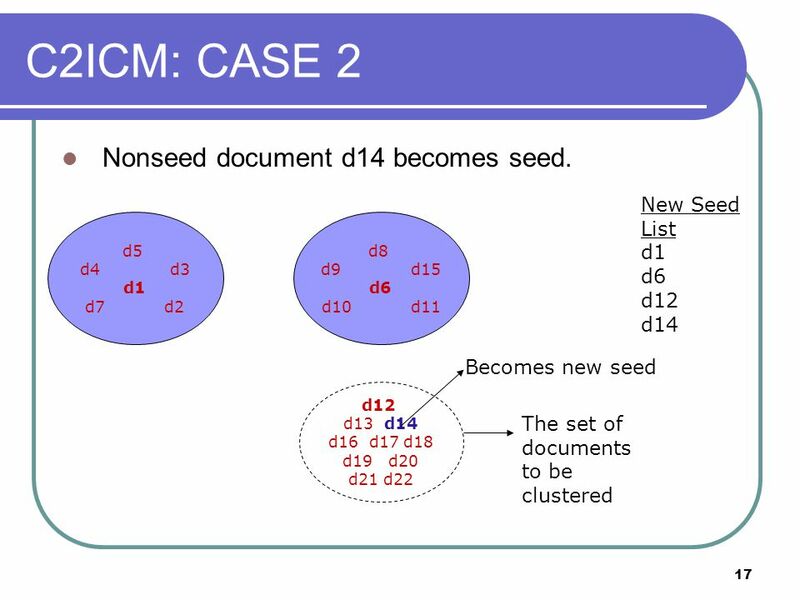 An Interactive Visualization of Super-peer P2P Networks Peiqun (Anthony) Yu. 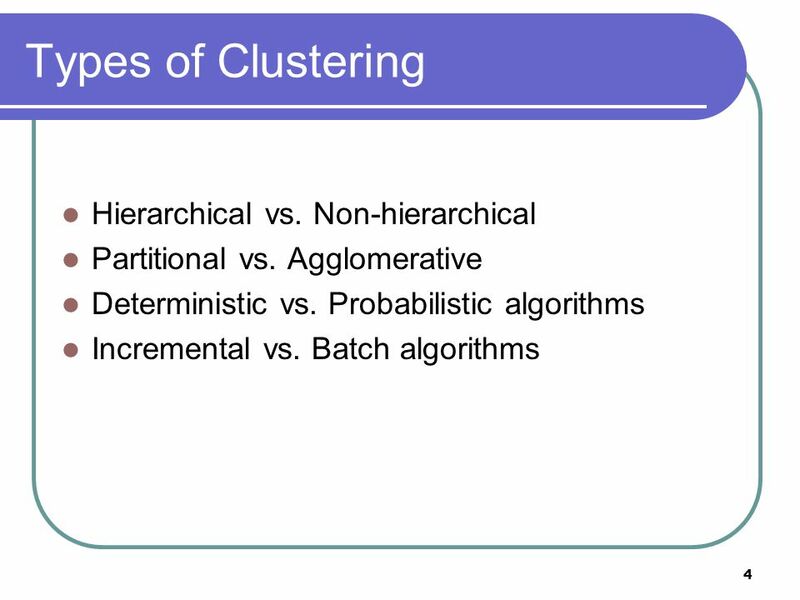 Clustering… in General In vector space, clusters are vectors found within  of a cluster vector, with different techniques for determining the cluster. A Scalable Semantic Indexing Framework for Peer-to-Peer Information Retrieval University of Illinois at Urbana-Champain Zhichen XuYan Chen Northwestern. What ’ s Hot and What ’ s Not: Tracking Most Frequent Items Dynamically G. Cormode and S. Muthukrishman Rutgers University ACM Principles of Database Systems. EGR 141 Computer Problem Solving in Engineering and Computer Science Interfacing with a Database in Visual Basic.NET 2005. 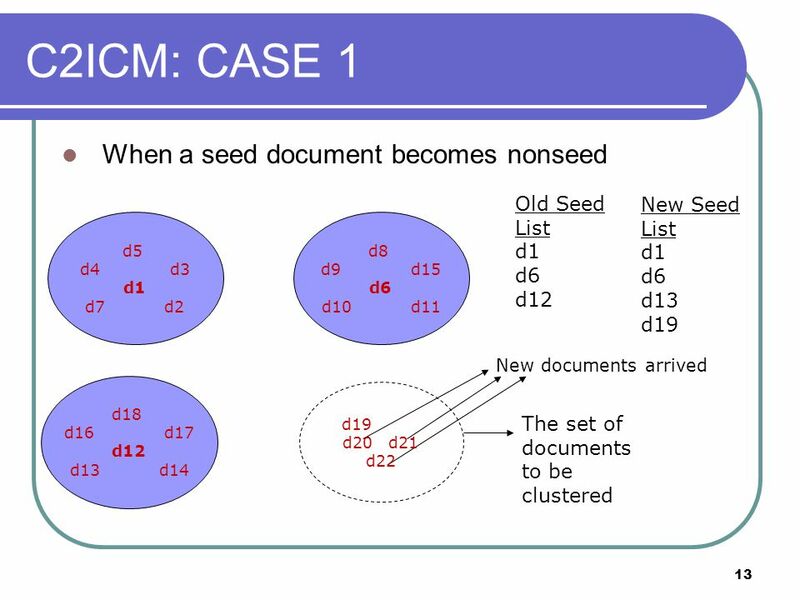 Ranking by Odds Ratio A Probability Model Approach let be a Boolean random variable: document d is relevant to query q otherwise Consider document d as. 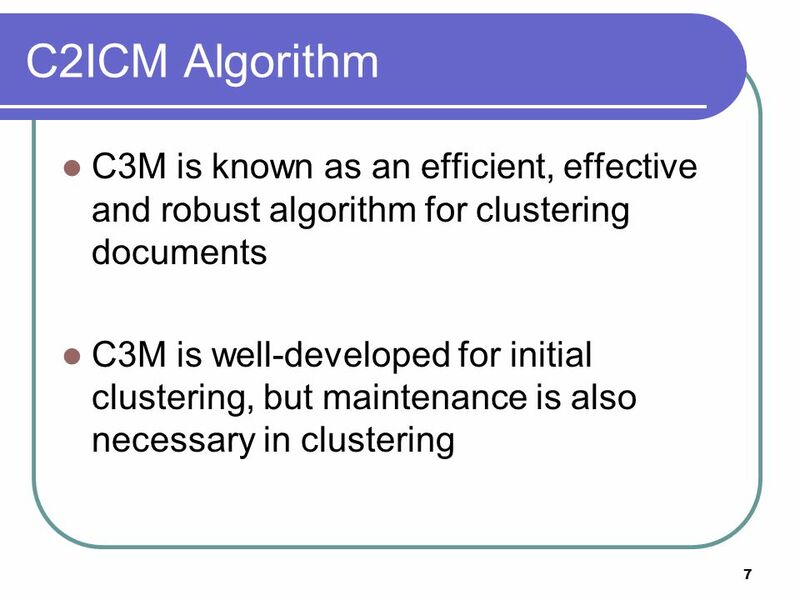 Parallel C3M1 Aylin Tokuç Erkan Okuyan Özlem Gür Aylin Tokuç Erkan Okuyan Özlem Gür.